Monterey offers an extensive range of products from all major manufacturers. We are committed to offering the very best products on the market at competitive price points. 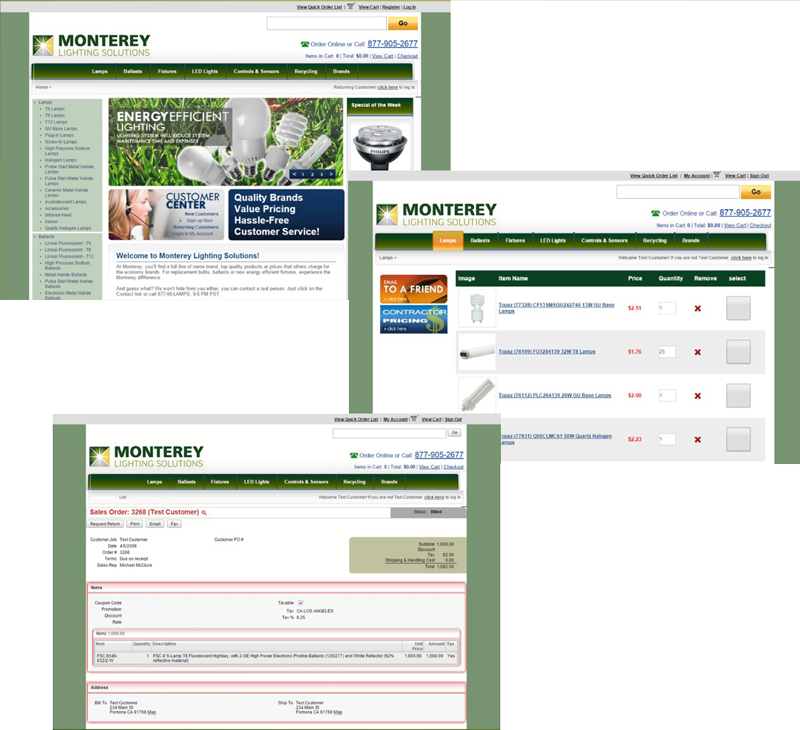 Because we understand each property/project has its own unique needs, we offer customized online, customer specific catalogs (just the products you need) for streamlined re-ordering of monthly supplies. Next day delivery is provided for most lamps and ballast products. Each of our clients can depend on specific customer representatives to answer all of their questions, provide important information on the ordering process, and educate them on the products they’re purchasing.